﻿ In late January 1944 a force of New Zealand soldiers and Allied specialists undertook a daring behind the lines reconnaissance of the Japanese-held Green Islands of Papua New Guinea. The New Zealand Army’s largest amphibious operation of World War II followed two weeks later. The Japanese contested the invasion with air power and inflicted heavy damage on the American cruiser USS St. Louis. After landing, the New Zealanders pushed inland and encountered fanatical Japanese defenders entrenched in thick jungle. Allied engineers—including the famed Seabees—then built airfields, roads and shipping facilities. The seizure of the Green Islands completed the encirclement of the main Japanese base in the South Pacific at Rabaul. 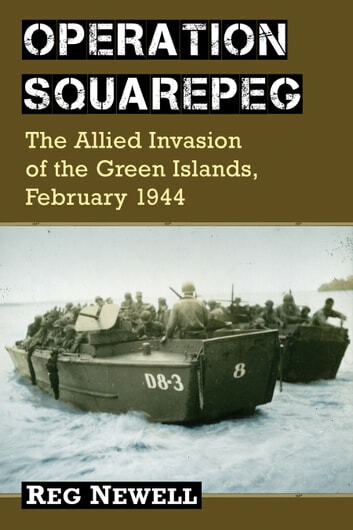 A memorable but overlooked action of the Pacific War, “Operation Squarepeg” involved a diverse force of Allied sailors, soldiers and airmen that included Charles Lindbergh and future U.S. president Richard Nixon.